I began creating “art” from my heart in 1st grade and giving it to my very gracious loved ones. However, art classes in High School provided tools, if not exactly direction. 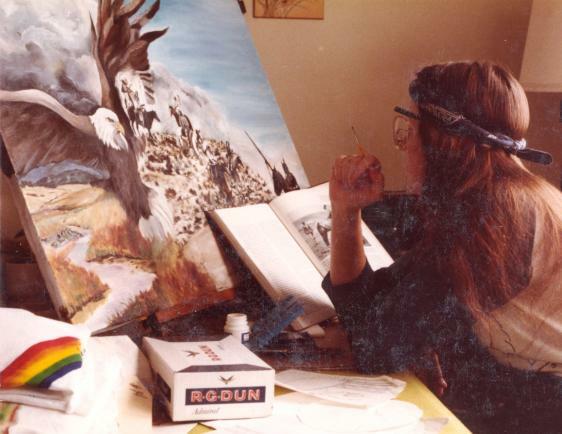 By 1983 I was selling my work locally. It was an eclectic mix because while painting, I was also trying to make enough money to pay for expensive supplies. 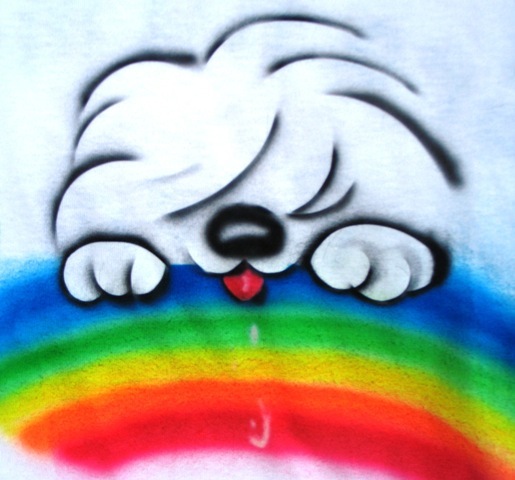 I was churning out my little puppy on t-shirts and selling them in Hagerstown, Metamora, and Nashville Indiana in order to afford oil paints, brushes and canvases. This is a more current airbrushed version. Large pastel and charcoal pieces were also selling. 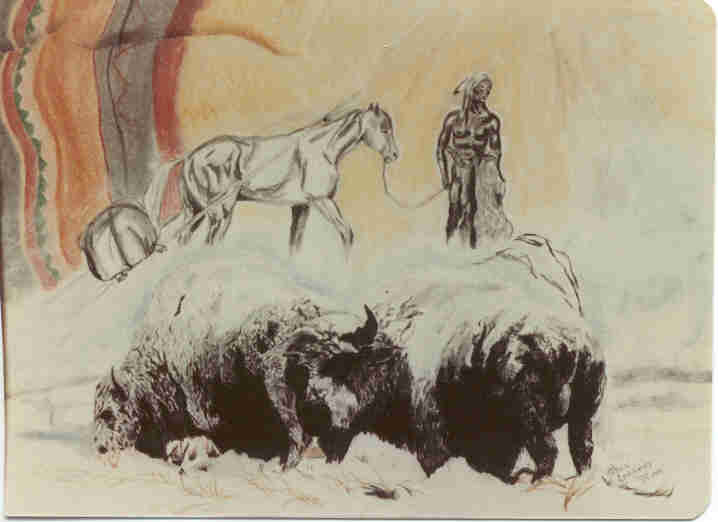 These often had a Native American theme as I worked out some youthful anger at politics, society, and the general stupidity that I was beginning the sense. I took a workshop on how to paint Christmas ornaments in order to learn something about oil paints and, from there, I taught myself how to oil paint. That was liberating. Oil paints have such depth and vibrancy. Over the subsequent years I would spend months on end working on a large canvas. Below is my first ever painting on canvas called War Clouds and featured the Sioux at the time of Custer (I studied history a lot) and the current location of the battle. It sold unframed (and before it was even finished.) That was enough to encourage me!